Did you know that FAU is the most innovative university of Germany? The university offers great opportunities for students and academics to start their own entrepreneurial projects. 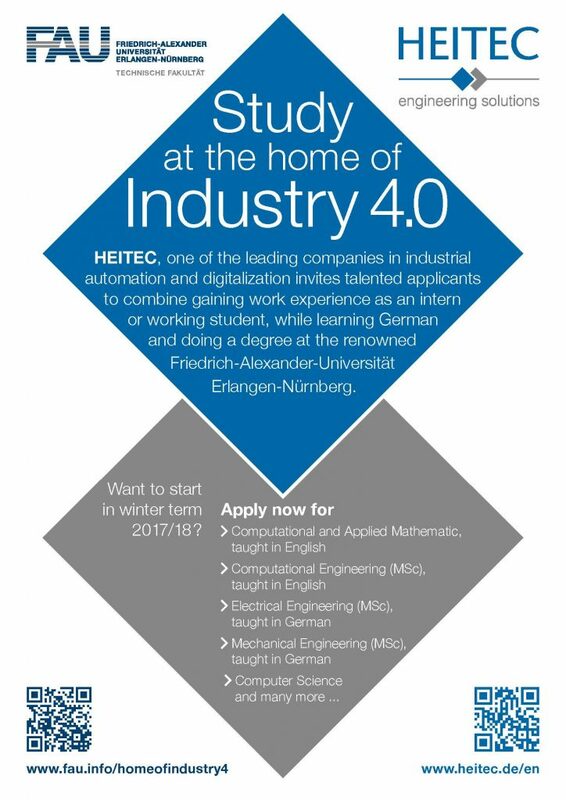 FAU also prepares the students to integrate a thriving economic and industrial ecosystem led by the Industry 4.0 revolution. Here you can find the list of the master programmes at FAU that are open for international students, as well as their related contact details.